Break the eggs in a bowl, add half of the quantities of all ingredients except for the Extra Virgin Olive Oil, mix all together for a minute. Preheat a pan, add the Extra Virgin olive oil and once hot pour in half of the prepared egg mixture. 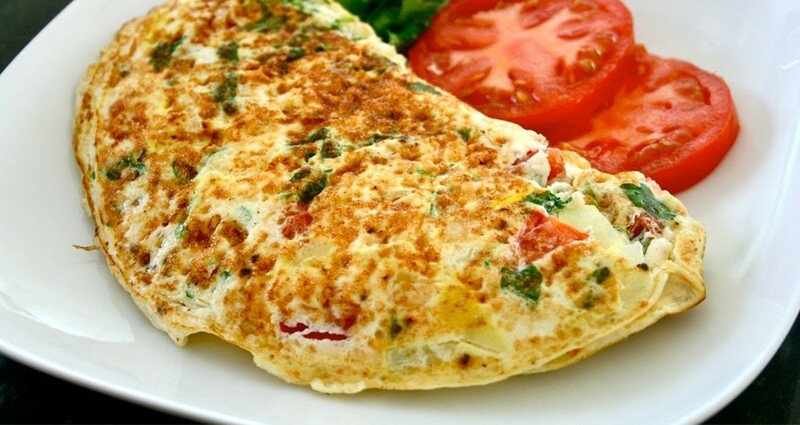 Bake evenly on the both sides by flipping the omelet half way through the process. Follow through with the other half of the mixture.